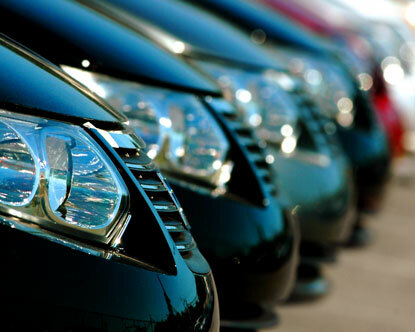 Buying a car online has been seen as a risky thing to do in the past. People often fear that they may be stretching a little too far and taking a risk with a sight-unseen purchase. However, there are a few things to look out for when finding the right car. You can easily do these things online by searching for the correct information you need to cypher through something that looks fishy and don’t make sense and details that stand up to scrutiny. Various search engines that are specifically designed for selling cars are better than other and most certainly better than looking on broad search engines Google. However look for unconventional websites that may be selling just the car you’ve been looking for such as eBay and Craigslist. For a more targeted approach look on websites like Autos, Auto trader, and the top car selling website in the country. Most of these sites will provide you with options to narrow down your search, such as the color, engine, displacement, registration year, model, warranty, insurance and sometimes even horsepower. These kinds of website specialize in giving consumers the most amount of information and demand that sellers who use their website, supply adequate information as one of the terms and conditions. Whatever part of the country you might be in, focus purely on the quality of the car. You should see this purchase of a car, not just as a way to make life easier with your own transport, but as an investment. Putting restrictions on your desires will lead to misfortunate decisions being made. Don’t ever limit your search as a cheaper and better car may be further from you, but ultimately, you’ll be saving in the long run, than if you settle for a closer but more expensive car. With the services of a company like Shiply, they can deliver the car to you or bring it closer to you, so you can pick it up, and not have to miss a day of work. Such companies have been tried and tested, and all delivery companies on the website are feedback rated, so you can choose who is trustworthy and who you want to avoid. You should make sure you’re not driven by emotion, and just because the car looks fine in the pictures and all the paperwork seems to check out, there may be hidden niggles underneath the surface. Check the model online and see if you can spot any alarming patterns. The model may have been recalled by the manufacturer for defective engineering standards or faulty design. It's wise to trawl around car forums and read anonymous comments about the model you're interested in. You may find the feedback from people who own the car you’re after, have bad experiences and find they’re paying to constantly fix a particular component. Target your search and don’t wander aimlessly around search engines which aren’t purposely designed for people to sell their used cars. Don’t put limitations on your search because the car may be too far out of perceived reach. And, make sure you thoroughly research the model you’re interested in, detailing its history and track record.